Gannett (GCI) recently laid off 600 staffers and asked USA Today and other employees to take an unpaid week off and froze wages during the first quarter. Now the publisher of 84 U.S. dailies is enacting another cost-cutting tactic for their higher paid employees: All staffers making a $90,000 annual salary will be required to take at least one furloughed week during the second quarter. Any employees making less won’t have to take the unpaid week off. More from the Gannettoid blog: In 2009, all employees were required to take one furlough week in each of the first two quarters and most employees making at least $90,000 were required to take two weeks. 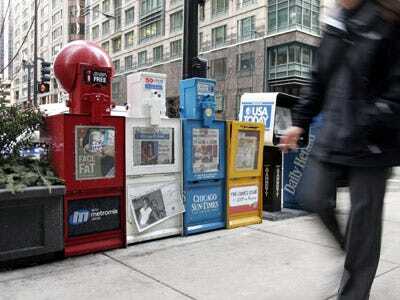 Gannett reported a profit in 2009, after taking similar cost-cutting measures to fight against dismal ad sales. Update: According to a memo from Bob Dickey posted on the Gannett Blog and a message sent to Poynter’s Jim Romenesko, the company will not have furloughs in the second quarter.